Cataract surgery has seen much advancement over the past few years. With the tremendous improvement in surgical techniques and intraocular lens technology, patients may experience even better vision after cataract surgery. The surgeons at Advanced Eye Care are among the most experienced in the New York City area and the country. Nearly everyone will develop cataracts in their lifetime. In fact, by the age of 80, more than half of Americans have had cataracts. Cataracts do not need to be removed unless vision loss interferes with daily activities. Cataract surgery is the most effective and safest eye surgery performed today. There are over 3 million surgeries performed each year, giving patients clearer vision and improved quality of life. 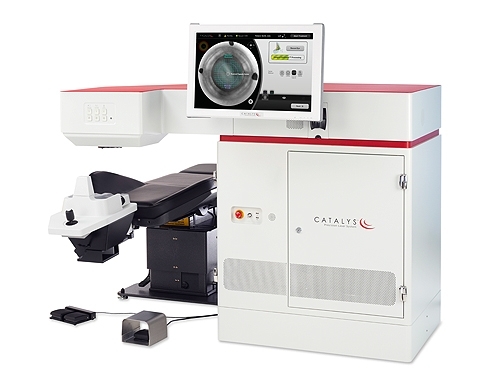 Femtosecond laser-assisted cataract surgery allows increased precision and smaller incisions, which translate to faster recovery and better patient outcomes with respect to vision. Advanced Eye Care offers the best in cataract surgery and the most advanced choices for intraocular lenses.